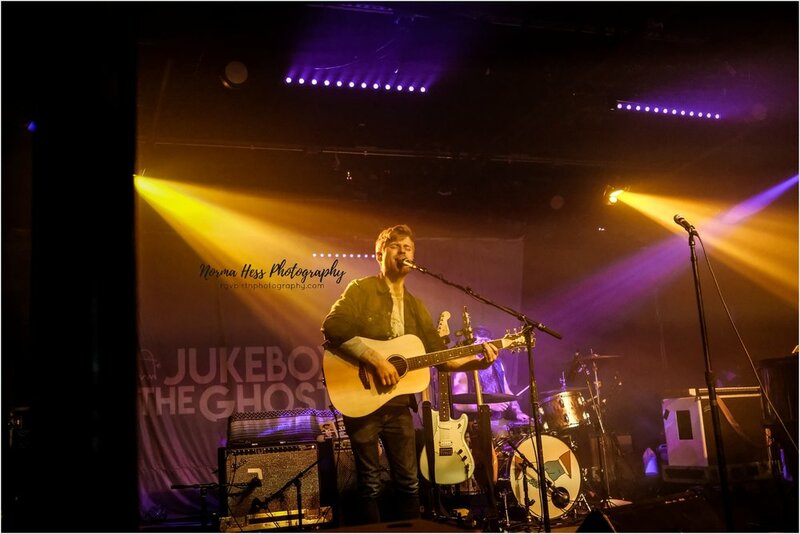 McAllen Photographer | The Making Friends Tour, Jukebox The Ghost and The Mowgli’s in Austin, Texas. Sometimes I look at this crazy life I’m living and I can’t help but feel incredibly lucky. I think like most people, (ok, maybe not most…) I often wondered what I was meant to be doing. I never really felt quite right in all my other job opportunities. Although I’ve learned so much through each experience, none felt like it fit me and my soul. Fast forward 30something years and here I am, living my dream! This dream doesn’t come without a price though. Living life on-call is sometimes challenging (especially when you are a mother of 5.) I have left my own birthday celebration for births, skipped out on my kid’s 1st theater performance, and various other events. Sometimes this part of the job seems a bit too demanding, it’s not just my feelings after all… but I wouldn’t change it. I made sure I left a solid plan behind and had a wonderful team to help me out in the event Emilie went into labor while I was out of town. Their support was so comforting, I always want to make sure my clients are in good hands and building these backup photography relationships is so important. I spent the weekend with my siblings, laughing, eating all the vegan treats I could find, and laughing some more. Then we jammed to the beat of The Mowgli’s and Jukebox the Ghost at the Empire in Austin. All in all, it was a pretty fantastic weekend and I feel recharged and ready to be on-call again. I treasure this amazing family of mine as I’m sure you will treasure your family as it grows… Life is incredible. I hope you enjoy this tiny glimpse into my life! If want to say hi, book a session, or explore the booking process, Click HERE. I can’t wait to meet you and help you document your story. Welcome to the world, Lucas! On the morning of the 8th, I got a text from Andrea. She was being sent in for an induction and my heart began to race for her. I imagined how excited this first-time-mama was to meet her sweet boy and it was almost time! Isn’t it incredible how fast time goes? From the moment we find out we’re expecting, to that first appointment with our midwife, to the first ultrasound. It all goes by so quickly. Now here she was, ready to meet her son. We stayed in touch for the next few hours and then overnight… things were moving slow and steady. This sweet mama was on the right track to welcome her baby boy. The following morning, I made my way over to this lovely family and had the best time chatting with everyone in the room. It was so sweet to see sisters bonding while waiting for this little one to arrive. Everyone was in good spirits and ready to meet little Lucas soon. As labor intensified, the love between Andrea and Jay was more and more beautiful to witness. The way he looked at her was something that I’ll never forget. Becoming parents has a way of bringing couples together. I consider myself so lucky to be able to see these partnerships reach a new level of love as they welcome their babies earthside. It was finally time to push, Andrea did an amazing job and Jay got the opportunity to cut the cord. They both soaked up all the details of little Lucas upon meeting him. Everyone in the room was overjoyed when this little guy was born. It’s hard not to soak up all that oxytocin in the room in that very moment. For a moment, mama needed some attention and was taken over to the OR. Before long, baby Lucas and his mama were reunited for some sweet skin to skin time. There’s nothing more beautiful than the look on a new mother’s face as she gets to meet her sweet baby. Congratulations F family! Lucas is absolutely beautiful!